H-273 A sign in Thanjavoor (Thamjai) railway station (2015). 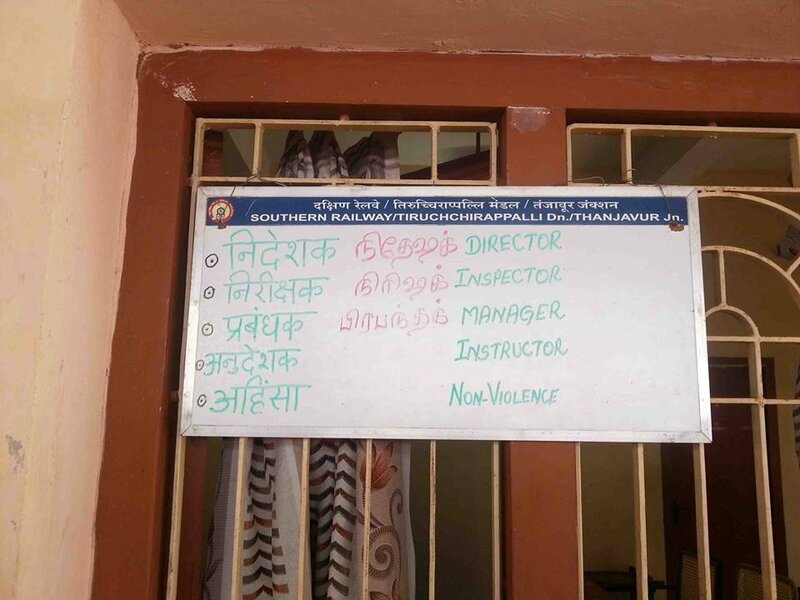 Hindi sentence written in Tamil script. This is an insult to Tamil by the Indian government and its Southern Railways. 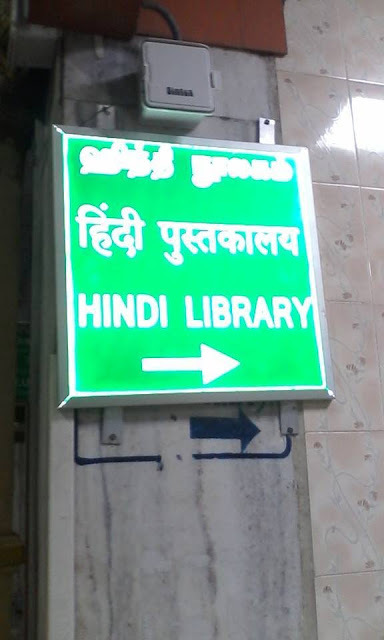 H-274 Southern Railways opened a Hindi library in Chennai Central station in 2015. 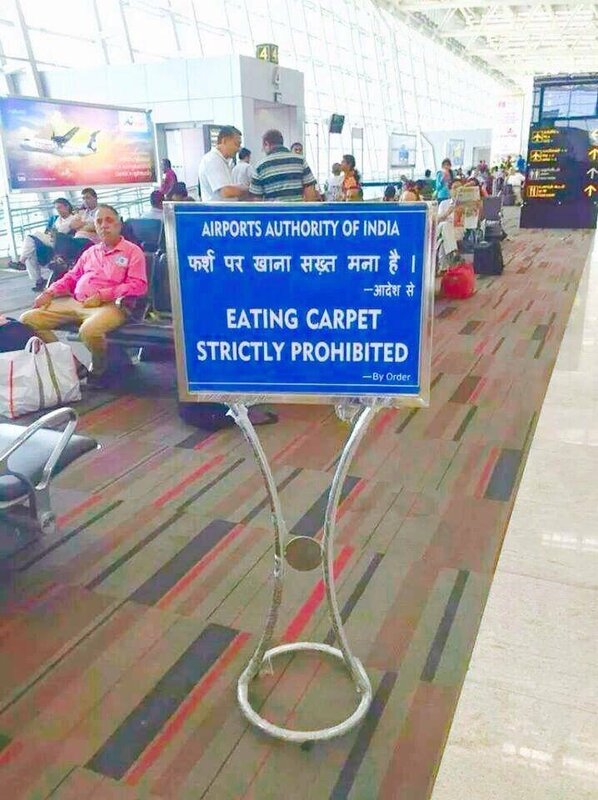 H-275 A Hindi-English board in Chennai Airport (2015). 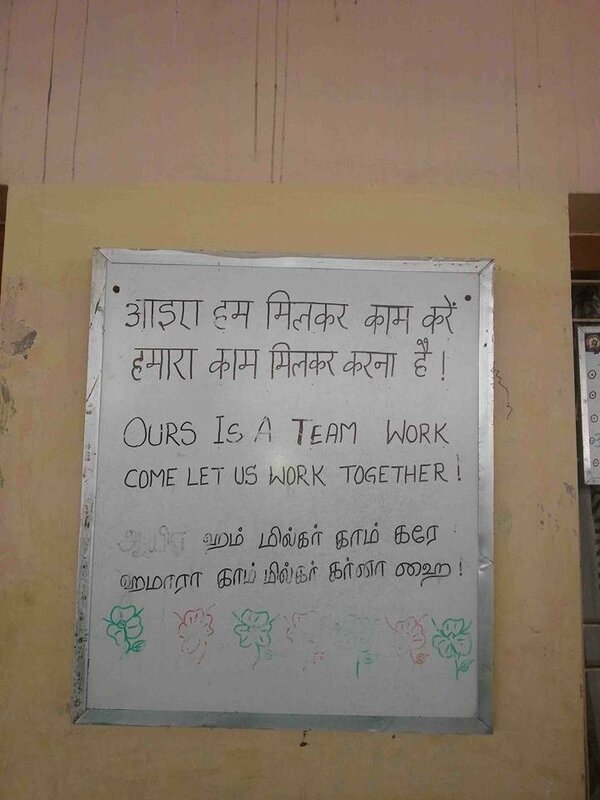 No Tamil. H-276 Train tickets in 1946 (British rule) were in English and Tamil. 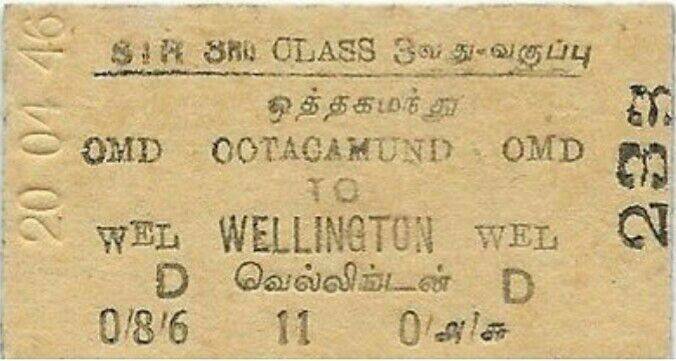 Today (2015), under Hindi rule, Tamil is removed in rail tickets issued in some stations in Tamil Nadu. H-277 A sign in Thanjavoor (Thamjai) railway station (2015). Hindi sentence written in Tamil script. This is an insult to Tamil by the Indian government and its Southern Railways. 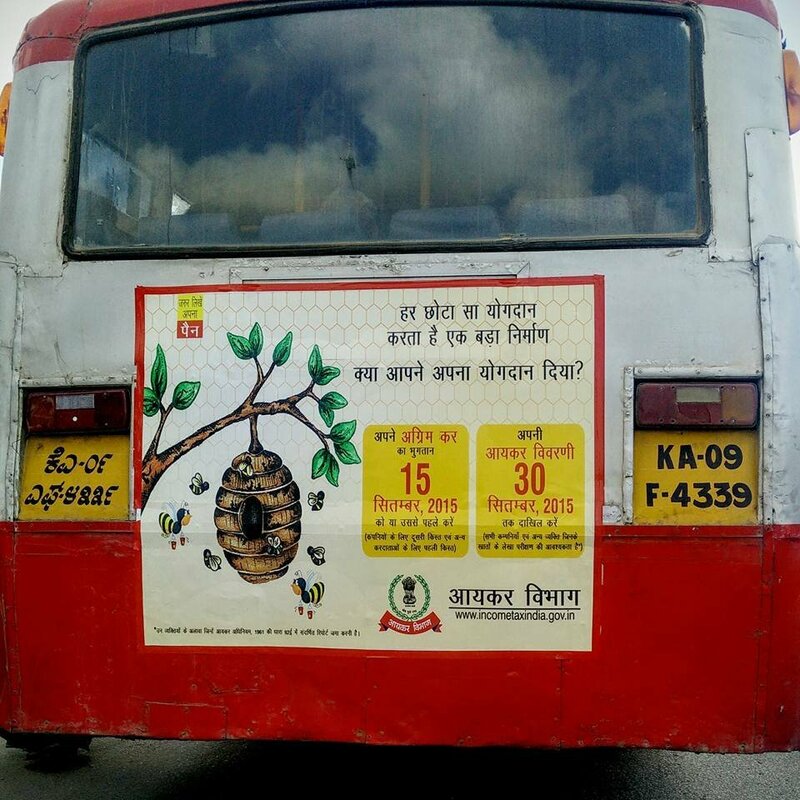 H-278 Bus serving villages in Mandya district, Karnataka has a Hindi advertisement by Indian goverment Income Tax Department (2015). 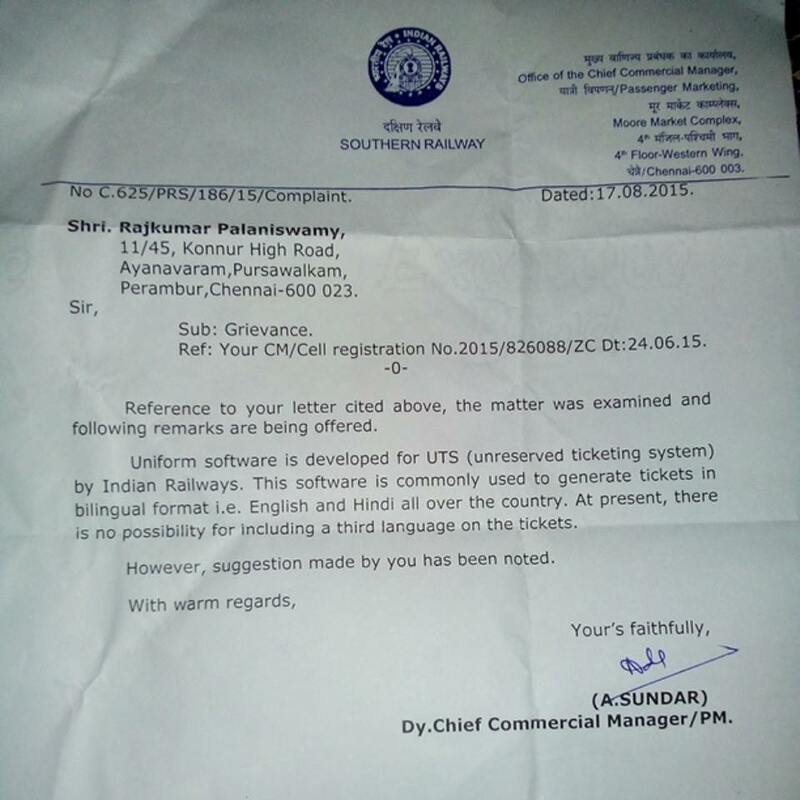 H-279 In a letter to complaint, Southern Railways said that their computerized system can print tickets only in English and Hindi (2015).